NO. If they are not saved, there is nothing that you can do about it. If they are not saved, there is nothing that they can do about it. Because you are already saved, why would you care? I have become all things to all people so that by all possible means I might save some. I do all this for the sake of the gospel, that I may share in its blessings. – 1 Cor 9.23. It seems to me that Paul thinks he could meaningfully share his faith and actually cooperate with the Holy Spirit in persuading people to receive the grace he found. If I can not impact their journey towards Christ, then why bother witnessing at all? Why bother inviting them to even hear a message about the gospel? I care about their separation from Christ. I care that they don’t know the amazing love of God that I have found in Christ. Yes, Jesus clearly defined the mission of the church, when HE said, He came not to call the righteous, but sinners to repentance. He searched for the lost sheep and bring him back to the fold. Of course those who are not believers should be invited. To me, it is not a questions of whether they should be invited or not. 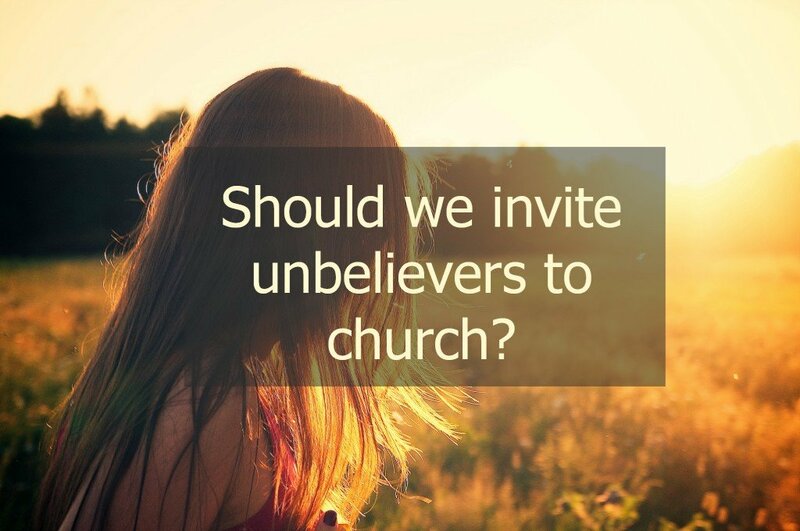 The question for me is to ask ourselves, “Do we EXPECT unbelievers/non-converted to come to the worship service?” If the congregation is not anticipating persons who do not know Jesus personally to be present, then the worship service is going to be counter-productive because the format/service/interactions are not going to be all-inclusive. If the congregation is or has been “seeker-sensitive” then there will be an expectation for non-believers and many persons will be alerted to the possibility of newcomers/non-believers being present and will engage them. The focus for me is not about the new person(s) coming through the doors; but, rather, that the persons who have been part of the church for any length of time are EXPECTING them!